Suzanne went back out to the kennels and, sure enough, after sitting down in Herbert’s kennel with him it was obvious that Herbert knew she was there but couldn’t see her. 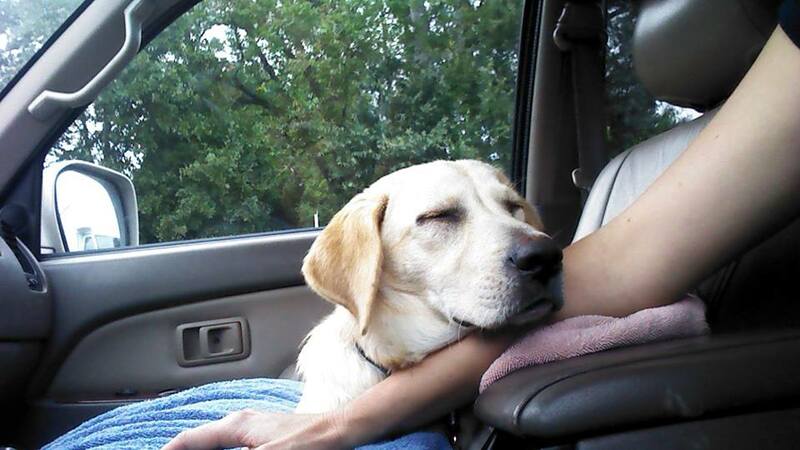 Having just said goobye to our 13-year old blind yellow lab a few months ago, Suzanne immediately fell in love. We started emailing and calling any rescues we thought would be interested: lab rescues, blind dog rescues, local rescues, far-away rescues. We also created a poster and shared it on Facebook. 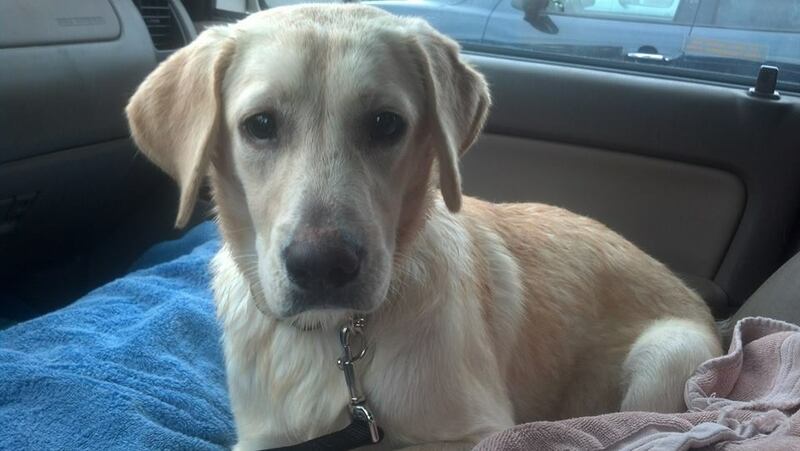 Progress was slow at first and then we got a note from a lab rescue. They were interested but wanted to send a volunteer to meet Herbert before committing. 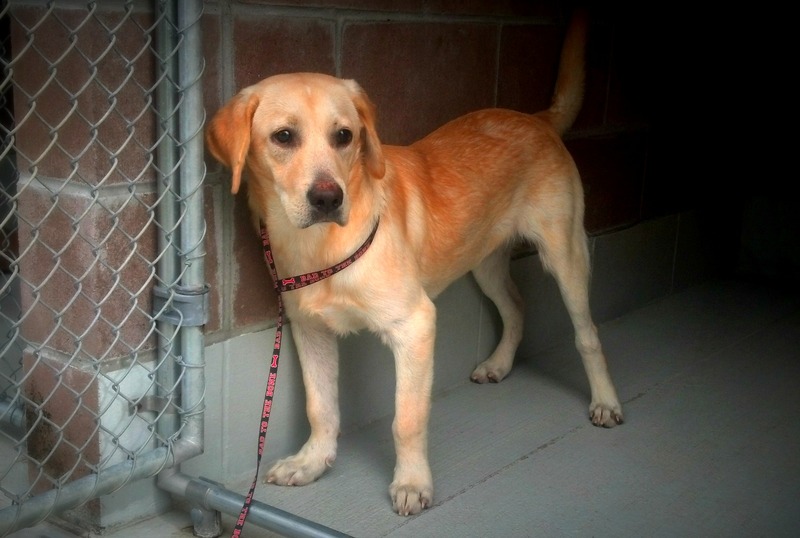 In the meantime, another lab rescue, SOS Labrador Retrievers contacted us and said they would take him. Later that same day we heard from a woman named Janice in Florida who saw him on Facebook and wanted to adopt him. While we were sorting out where Herbert should go, we received a call from Noah’s Arks Rescue at 8:00am on Monday morning. Before we got off the phone they had committed to taking him that day and said they would take him to their opthalmologist to do whatever was necessary to prepare him for his new life. After checking with SOS Lab rescue and Janice in Florida to make sure it was okay with them, we pulled Herbert out of the shelter and drove him to South Carolina to start the next chapter of his young life. It was amazing how quickly Herbert’s story spread. We have never received so many calls and emails about one dog! Suzanne’s phone was ringing off the hook with people wanting to know whether or not the sweet blind dog was safe. How incredible for him to go from being considered “Unadoptable” to having so many people wanting to give him a home. Fast forward a few weeks and Herbert is now named Chuck and is on his way to his forever home, where he will have another blind dog to keep him company. Here is the update from Noah’s Arks about Herbert’s (I mean, Chuck’s) doctor visits: Click here for Chuck’s Story. And here are some pictures of Herbert and the video that helped us spread the word about this sweet dog who worked his way into our hearts (and so many other hearts) so quickly.